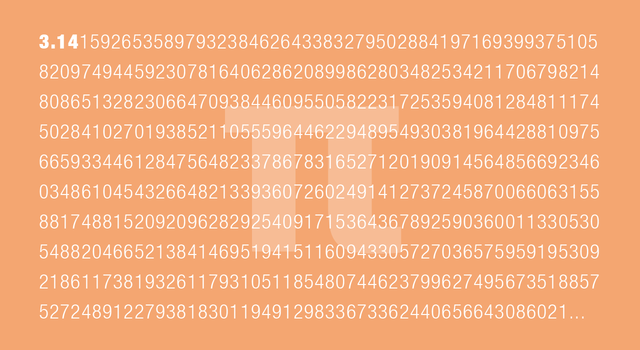 You've probably seen many different methods of how to memorise the first 100 digits of pi, like this one or this one but have you ever thought how practically useful this would be? I have and so did a NASA-JPL fan recently. I'll cut to the chase and say NASA-JPL only use the first 15 decimal places, ie 3.141592653589793. Wow!! Only an inaccuracy of 1.5 inches or about 3.8 centimetres out of a 78 billion miles!! That's pretty impressive. But wait, you're probably thinking that that's not really practical; who other than rocket scientists, need to calculate the circumference of a circle that big? Let me rephrase that last part for you: by using pi to the 15th decimal place to calculate the circumference of the earth, you'd be off by less than 10,000 times the thickness of a hair!! You wouldn't even be able to see the difference. I'm sold. I don't care about impressing my friends with my memory, I'm going to concentrate on "just enough" accuracy like the NASA peeps do. Now go and memorise this number: 3.141592653589793.